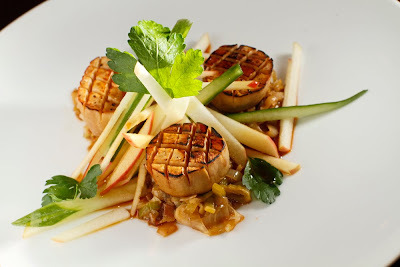 Innovation is fairly easy in vegetarian cuisine. All you really have to do is take a preparation that is traditionally meat-based and substitute something vegetarian in its place. But the art comes in determining what will work and where. I had an idea for a mushroom ceviche floating around in my head for a while, but I didn't know which mushroom to use. I wanted to stay true to the raw nature of ceviche, but raw mushrooms were, well, unappealing to me to say the least. Then I remembered the mild and crunchy enoki, the perfect match. Trim the stem-end off of the mushrooms and discard. Cut mushrooms into one-inch sections and place into a medium mixing bowl. Rinse diced onion under cold water for 30 seconds, and then add it to the mushrooms along with the lime juice, a dash of hot sauce, a squeeze of agave nectar, and a tablespoon or two of olive oil. Allow that mixture to sit for 20 minutes so the flavors marry. Add the diced avocado, the minced cilantro, and a pinch of salt just before serving. Peel plantains and roughly chop the fruit. Place fruit and water into a covered microwave-safe bowl and microwave for 2 minutes or until they become soft. Using the paddle attachment on your stand mixer, mix until stiff dough forms. (You may need to add a touch more water.) Next, divide dough into 8 equal balls. Using a tortilla press lined with wax paper -- or just the paper and a rolling pin -- press each ball into a disk. 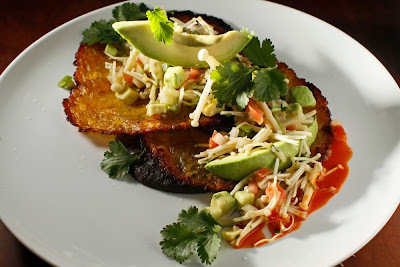 Fry each plantain tortilla in canola oil over medium heat. Drain on paper towels and salt before serving. Using an immersion blender or food processor, blend all ingredients until (mostly) smooth. Add water to achieve the desired consistency. To serve, spoon black beans on a plate and top with a plantain tortilla. 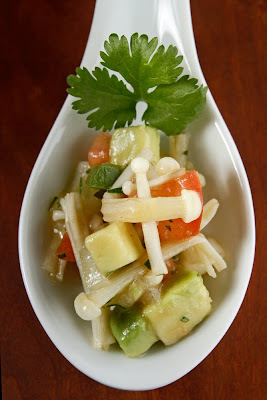 Top that with a handful of enoki ceviche and garnish with fresh cilantro leaves, sliced avocado, and your star hot sauce. We here at TCV just passed 300 posts without even noticing, and now we are up to 150 followers. I would just like to thank each and every one of my readers. I think we have a good thing going here. 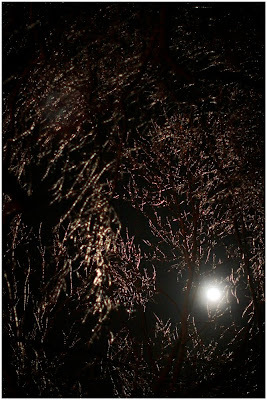 If you read this blog on a regular basis and you are not a follower, I urge you to become one. I like to know who is out there, ya know? I'm always open to suggestions and I'm pretty good at answering any vegetarian questions you might have. 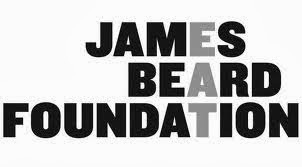 So, become a follower and get in touch. Thank you for reading. I have taken these ingredients and made them into one of my all-time favorite meals: grits and eggs. 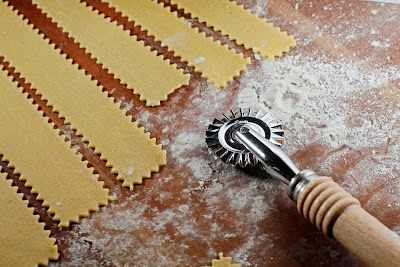 I do these a million different ways, but this simple version with an Italian twist is the best of all. 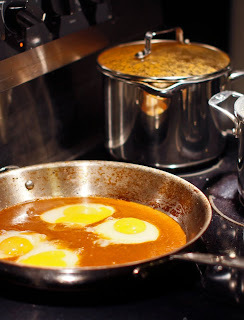 I poach my eggs in warm tomato sauce for added flavor and ease of preparation. This is the perfect dish for a cold winter's day. Heat oil and garlic in a large frying pan. Once the oil stats to shimmer, remove the pan from the heat and toss the spinach with the hot oil and garlic. Finish with salt and pepper. Bring milk and bouillon cubes to a slow boil. Stir in the rest of the ingredients, and make sure there are no lumps. Simmer uncovered for 40 minutes and stir it every few minutes. Bring sauce to a low simmer in a large frying pan. Crack eggs directly into the sauce. Allow eggs to cook for about 10 minutes or until the white has set. 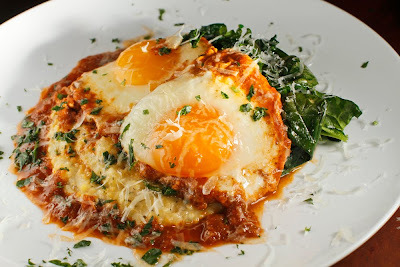 To serve, spoon tons of creamy polenta onto the center of the plate; follow with the tomato sauce and then the eggs. Garnish the dish with chopped parsley and freshly-grated parmesan. Serve with a side of wilted spinach. *BTW, we are so happy that we did the traditional grocery run before all of this snow and ice came down Friday a.m. Even though it looks like we'll be stuck inside until Sunday afternoon or maybe even Monday mid-morning when the temps finally get above freezing, at least we have power and a bunch of stuff like this comforting dish to cook. I'm still not sure about the texture of king oyster mushrooms. They are chewy. That is to say, they take a lot of chewing, which is a little weird for us vegetarians. So this time I decided to braise them in a mixture of butter, white wine, garlic, and parsley. I left them in a dutch oven for about three hours, and they still were not as tender as I'd like. They were delicious, and I think I'm on the right track; maybe they need more time, or maybe I need to turn up the heat a bit. I really don't know quite yet, but I'll get there. I may ditch the whole braised idea and sous vide it next time...if only I knew how. No need to braise them. Just drizzle them in olive oil, and sear them in a hot pan for about 3 minutes per side. Here I served the scored and seared mushrooms on a bed of caramelized leeks. The slaw of English cucumber and organic apple was simply dressed in equal parts honey and rice vinegar. I garnished the dish with parsley leaves and drizzled the whole thing with ponzu. Over medium-high heat sweat the onion and bouillon cube in a few tablespoons of olive oil until the onion is translucent. Deglaze the pan with white wine and reduce until most of the wine has evaporated. Add the rest of the ingredients except the chimichurri to the pot. Add enough water to cover and simmer over medium heat for 15 minutes. Using an immersion blender blend ingredients until smooth. 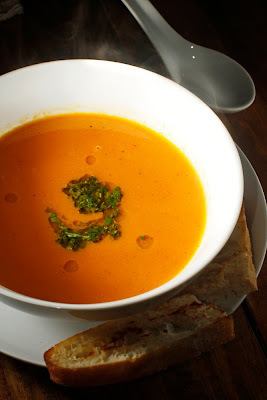 You may strain the soup if you would like it to be more refined or serve it just like it is. Adjust consistency with stock or water. Top with plenty of chimichurri. Thank you for your thoughtful suggestions. However, for some odd reason, I could not get away from thinking about gooseberries as little tomatoes. I decided to make a simple salad that would showcase their unique sweet, tart, and pungent flavor. Whisk together the oil, vinegar, and honey. Add salt & pepper to taste. Add the onion to the mix and allow to marinate for 15 minutes. Add the greens and toss until well-coated. Divide salad between two plates and garnish with gooseberry halves, sea salt, and cracked pepper. *Always rinse any onion slices that are to be served raw. This process removes that unpleasant acrid flavor that raw onion can sometimes have. My buddy Ben gave me a handful of gooseberries, a small fruit which I had never had before. 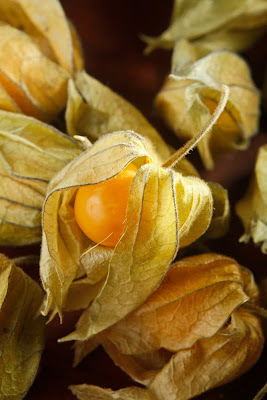 They remind me of tiny tomatillos with their papery husk. The texture is not unlike a grape tomato, but the flavor is both pungent and sweet. I think it could work well in a sweet or savory dish. My initial thought is to make a parsley, cucumber and gooseberry salad, but I'd love to hear some of your ideas before I dive in. I was never good at preparing spring rolls which was frustrating, because I love them so much. Every couple of months I would try it again to see if my rice paper skills had improved. Sadly they had not. So, most of the time I just drop by Whole Foods and pick up the vegetarian spring rolls from the sushi case. The other day I dropped by and they were out of the vegetarian rolls in the case, so I asked the gentleman behind the counter if he would mind preparing an order for me. I started to go shop while he worked, but I became mesmerized. I watched him cut and prepare the ingredients for the filling. I watched as he quickly dipped the rice paper (spring roll wrapper) in cold water. I must have looked shocked. I had no idea that's how you treated rice paper. I always soaked them until they were soft then tried to fill them. Whenever I did that they were always mushy and would tear as I attempted to roll them. This was a revelation. The next day I had to try it at home. I prepared my sauce and my filling then got out the rice paper wrappers. I filled a large pie plate with cold water and dipped the dried wrapper in for just a few seconds. I did make sure to wet the entire surface. the wrapper was still rigid as I placed it on the cutting board and began stacking ingredients in the center. By the time I had everything on the wrapper it was pliable but not mushy. Amazing! All I had to do is to fold each end over and roll it up like a burrito. Now that I know how to use them I dream of different combinations of flavors I can wrap up in these amazing little things. 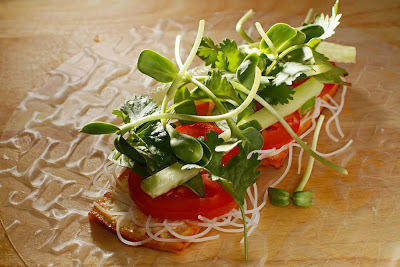 chopped green onion, sliced roma tomato, basil leaves, cilantro, rice stick noodles, sunflower sprouts, tofu, and cucumber matchsticks. Whisk together 2 tablespoons each of chunky peanut butter, mirin, soy sauce, sriracha, and water. This is a wonderful sauce that hits so many notes: sweet, salty, and spicy. Preheat oven to 350 degrees. Brush a silpat lined baking sheet with a few tablespoons of sesame oil and arrange tofu slices on the sheet. Brush the tofu with the peanut sauce. Stick it in the oven for about 30 minutes or until the surface begins to look caramelized. 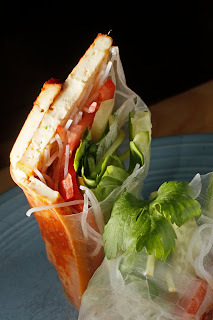 This recipe is great in banh mi sandwiches as well. This was an incredible little grilled cheese. The sweet, tangy tomato jam played perfectly off the smokiness of the grilled bread while the mild provolone provided the perfect backdrop. It may be good enough to win The Grilled Cheese Invitational next year...I may have to make a little road trip. All ingredients go into a saucepan. Simmer until the tomatoes break down. This should take about 10 minutes. Using an immersion blender, blend until smooth. Return pan to the heat and allow it to simmer on low until it is thick. It will resemble a thick ketchup. Allow to cool. Store in the fridge for up to two weeks. Slice the loaf in half and trim the ends. Place grill pan over medium high heat. Thinly slice the crust off the top. Save top crust for a later use. Slice each half lengthwise to make the top and bottom of the sandwich. 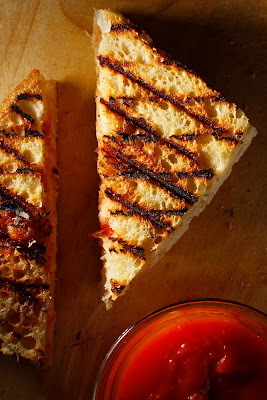 Divide cheese between halves and slather on a few tablespoons of the tomato jam. Drizzle each sandwich with olive oil and place in the grill pan. It should take 2- 3 minutes per side. Serve with your favorite Italian soup. If you keep good ingredients around, as we do, it isn't hard to piece together a quick, healthy lunch. This wrap, thrown together in about 5 minutes, is proof of that. 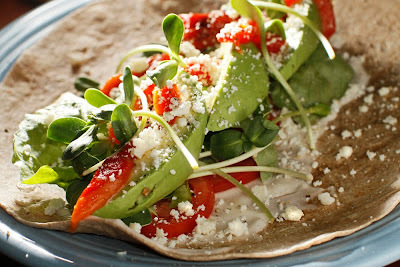 From the bottom up we have: a whole-wheat tortilla, vegan mayo, sliced roma tomatoes, heirloom lettuce, avocado slices, roasted red peppers, sunflower sprouts, a little crumbled cotija cheese, and a drizzle of white-balsamic vinegar. When packing a lunch for later you always have to guard against things getting soggy. I love roma tomatoes for anything that has to be prepared ahead of time because they have far less water than a typical slicer tomato. Using romas helps ensure you don't end up with a soggy mess at lunchtime. If you are trying to eat healthy more often then packing your lunch is a great thing to do. Try pairing a wrap like this one with a pink lady apple and a handful of almonds for your next lunch on the go. Also, click HERE to check out a few other great lunch box recipes. 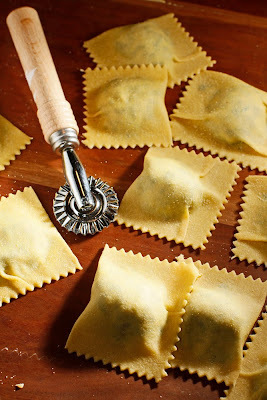 This is a quick and easy ravioli filling, or it can be used as a pasta topping, layered in a lasagna, or baked in a small dish as a dip. Try it, see what you can come up with, and let me know what you think. Pulse all ingredients except the breadcrumbs in a food processor until well incorporated. Transfer to a bowl, and stir in the breadcrumbs 1/8 of a cup at a time until a dough-like consistency is achieved. You can almost always tell how busy I am with work by looking at my blog. If it is neglected as it has been for the past week, you can rest assured that I am buried in assignments and deadlines. I'm one of the lucky ones: I love my job. Being extremely busy at work is what my dad calls "good problems." Make no mistake: I never stop cooking or taking pictures of the dishes that I prepare. I simply run out of time to type up the recipe and come up with something halfway interesting to say about it. 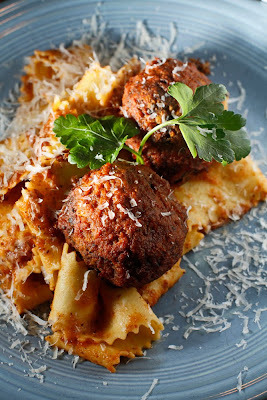 I have a backlog of beautiful photos of salads, soups, breakfasts, and pastas that I may get around to posting someday. I spend time in the kitchen every day because cooking, for me, is the best stress relief there is. I love getting in the there and chopping, kneading, and creating. These tasks always crescendo into a delicious meal. (Okay, not always!) With that meal comes the time it takes to enjoy it sitting at the table at home. It feels relaxing even to describe it. Preheat oven to 350 degrees. Fold ingredients together. Don't overwork it. Using a medium ice cream scoop, drop one portion into the palm of your hand. Pass the ball back-and-forth between your palms until a roundish ball forms. Place ball onto a silpat-lined baking sheet. Repeat until mixture is used up. It should make 6-8 large meatballs. Bake for 20 minutes. Brush each meatball with tomato sauce and stick it back in the oven for 10-15 more minutes or until the tomato sauce has turned a deep red. 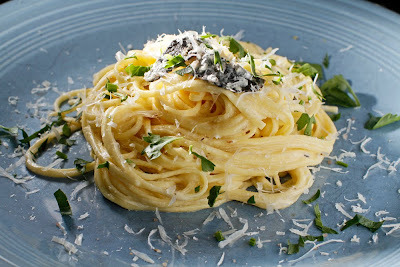 Serve on pasta with fresh parsley and grated parmesan. 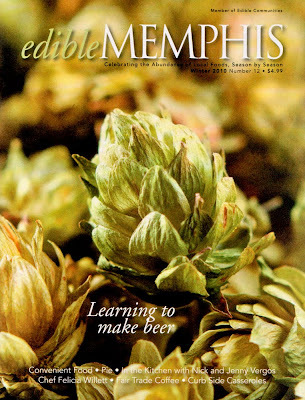 When I picked up the new winter 2010 issue of Edible Memphis magazine, I was pleased to find my photo on the cover. The photo goes along with a story I wrote about the trials and tribulations of homebrewing. I learned the secrets of brewing from Dale Skaggs and Mike Lee, and then tried it on my own. How did it go? Pick up the new issue and find out. The goal was to create and consume a few simple dishes that would showcase the subtle, elegant flavor of my prized black truffle. I enlisted the help of my good friend Michael Hughes, who is equally enthusiastic about the flavorful fungi. We discussed and revised the menu over the next few days settling on four courses. Each dish was designed to place the truffle in a different role to see how well the flavor and texture worked with different ingredients. Michael, who is a sommelier by trade, picked two wonderful bottles of wine to go with the meal. 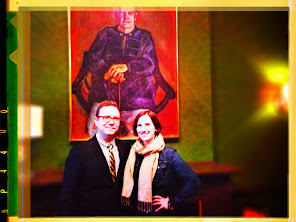 Click HERE for specifics on the wine and to read his take on the event. 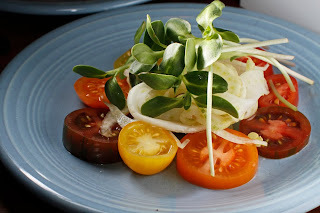 The first course was a wonderfully bright salad made with sliced heirloom tomatoes, pickled fennel, sunflower sprouts, and truffle oil. I pickled the thinly sliced fennel in equal parts rice vinegar and sugar. I left them in the solution for six hours before serving. 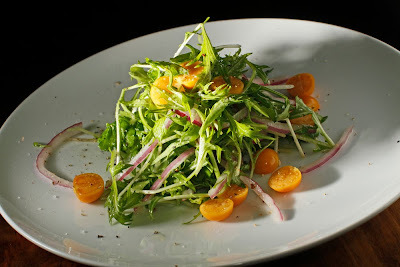 The truffle oil was a nice earthy foil for the salad's bright acidity. 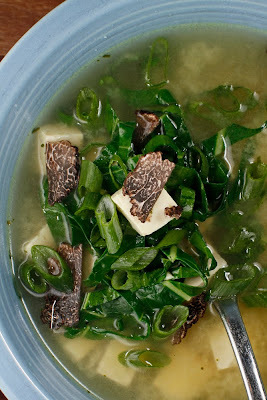 Next we dove into a simple miso soup made with white miso paste, small cubes of firm tofu, winter greens, green onions, and shaved truffles. White miso is the mildest miso paste with its slightly sweet, fermented flavor it tastes similar to unfiltered sake. The warm miso broth caused the truffle to become very aromatic. These flavors went very well together. The addition of the sliced green onions lent a light, grassy note that the dish needed. This is something I would make again. The third course was, in my opinion, the best of the evening. 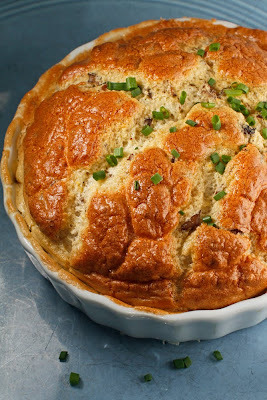 It was a rich souffle of sautéed cremini and porcini mushrooms, aged comté cheese, and sliced truffles. The dish was Michael's idea, but he had never made a soufflé before. I walked him through the steps as we put it together. I was concerned that the delicate flavor of the truffle would be lost among the other ingredients, but that did not happen. This was the hit of the evening. We couldn't stop there. I prepared a simple carbonara with homemade pasta, cream, eggs, smoked sea salt, and shaved truffles. It was simple and delicious. I particularly loved the way the truffle tasted with the addition of the smoked salt (a thoughtful gift from my sister-in-law). It was a truly memorable meal. The Wife, Michael, and I were joined by my old friend Justin, who was in town for the holidays. So, needless to say, at the end of the night we were all truffled-out. However, I feel that I understand the complex flavor of the truffle much better after our little experiment. Next on the wish list: a white truffle. I'll keep you posted. We want to wish all of you a happy new year. 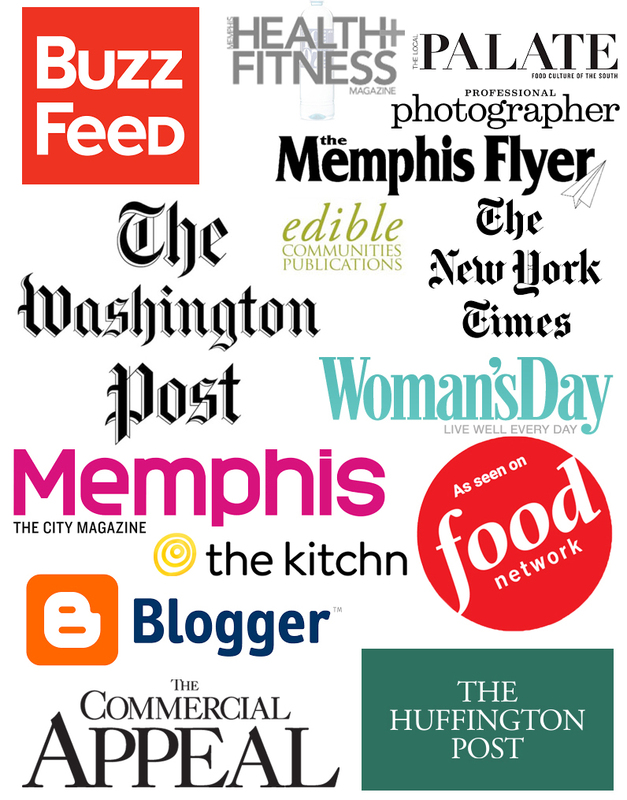 This has been a great year here at The Chubby Vegetarian with roughly 160 recipes created and posted to our site just for you. Next time you're planning dinner for you or your friends, use the search function in the right-hand column to find the perfect vegetarian dish. Today we had friends and family over to help usher in the new year. 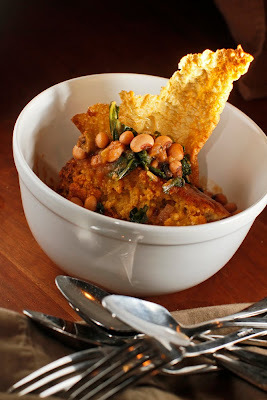 As a starter I made pecan and black-eyed pea hummus, then I served cornbread bread pudding topped with black-eyed peas, mixed greens and tofu pork rinds. If I could remember what all went into it, I'd tell you, but honestly, this holiday season has been a blur. We are looking forward to 2010 in the hope that it will yield many great meals with friends both new and old.